Attention all ladies! 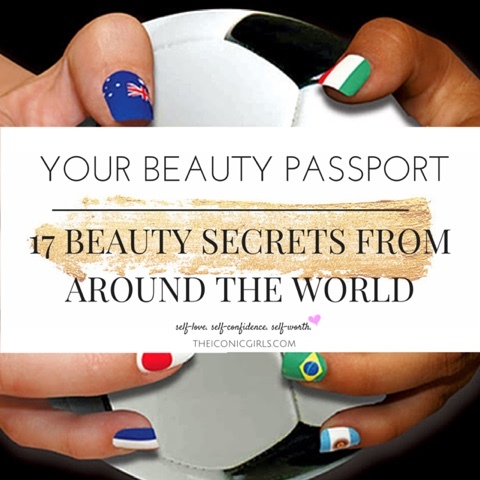 Today we're taking you on a trip around the world as we reveal some of the best-kept beauty secrets from women around the world! Typically, the appearance of stretch marks arrive after the birth of a child, aggressive weight gain or a childhood growth spurt. These marks aka scar tissue are extremely difficult to remove, despite the many chemically laced beauty products that give us false promises of clearing up stretch marks. While we would rather push you to be self-accepting of your body than to see you waste your money on products filled with harsh chemicals and ingredients you can't pronounce, there is on solution that we don't mind promoting: yarrow extract. This powerful yet gentle ingredient consist of anti-inflammatory compounds resulting in super soft skin. Australian Aboringinal women have been using this beauty secret for ages for many types of skin irritations including stretch marks. So ladies, if you feel the need to treat your stretch marks, search for a natural cream that contains yarrow root extract. It's no secret that oatmeal's a great source of nutrition to fuel our bodies; so it's should not be a huge surprise that this yummy food is a wonderful treat for our skin as well. In Brazil, oatmeal is used to heal and relieve the misery of a sunburn. Oats are bountiful with wonderful anti-inflammatory ingredients which allow a speedy recovery from the burns. 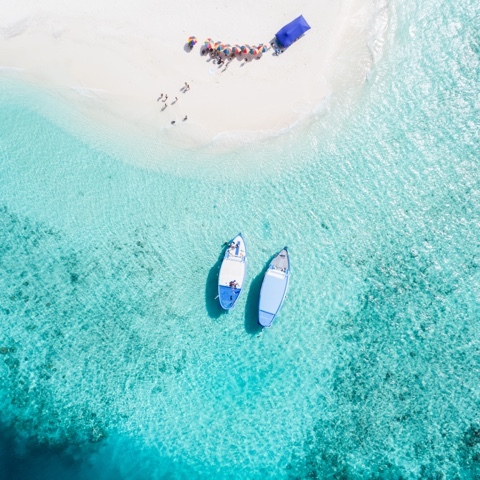 If you find yourself with a sunburn after a day on the beach this summer, gather some oats in gauze, run some bath water and allow the water to run through the oatmeal pouch. Soak in the water for 15-30 minutes. Costa Rican women blend a 50/50 mixture of orange juice and water for a momentary solution to reducing the appearance of large pores on the face. This is a great beauty secret if you need to shrink your pores instantly, perhaps for a quick photo. Simply take the mixture and rub it on your face with a cotton ball. Wait 3-4 minutes, rinse the mixture off your skin and voila! Your pores should appear smaller and less visible. We know this is a strange combination but Chilean women swear by this odd duo. But really, have you every noticed how bright and lively the skin is on Chilean women? Their secret regimen is a handful of crushed red grapes and two tablespoons of white flour. Mix the ingredients thoroughly, place on your face for 10-15 minutes, then rinse off with lukewarm water. South America is just filled with amazing beauty secrets. The ladies of the DR have a simple regimen for dry brittle nails: chopped garlic. They take 1/2 teaspoon of finely chopped garlic and add it to clear nail polish, store it for 1-2 weeks and apply directly to their nails. Yes, this mixture will be a bit smelly, but the scent will fade and your nails will be stronger than ever! Bulgarian women have familiarized themselves with the marvelous benefits of rose oil, rose petals and rose water. In fact, their country is home to the world's largest rose oil supplier, The Bulgaria Rose Valley. Rose water can be found in many health food markets today but it's a simple product you can make in your own kitchen. Try using a well-diluted rose oil or boil fresh rose petals. French women have a simple fix for removing yucky nail stains with one simply ingredient: lemons!The next time you have stained nails from peeling oranges, cutting beets or from wearing red nail polish, soak your delicate little nails in a shallow bowl of lemon juice for 5-10 minutes and watch those stains disappear. Rosemary is a top beauty secret Greek women have for achieving their beautiful shiny hair. Follow their beauty regimen by rinsing your hair with rosemary infused water (add whole rosemary sprigs to hot water and let it steep until cool) after shampooing. For a deep cleansing, add 3-5 tablespoons of apple cider vinegar to the rosemary water before rinsing. Caution: rosemary can be a natural hair darkener so be very careful doing this. Sometimes, it just seems impossible to get a full 8 hours of shut eye every night. What's even more impossible it trying to conceal the dark circles under your eyes that give away our lack of sleep the night before. Try placing a couple of thinly sliced raw potatoes over your eyes for 10 minutes each morning or a few days a week. While we know China is infamous for including rice with their meals, apparently rice is just as popular in their beauty regimens too. To make the rice water facial rinse, soak Chinese rice in a bowl of water for 20 minutes, strain out the rice and soak a white washcloth into the leftover water, rub over your entire face and rinse. Do this 1-2 times a week for the best results. Indian women create a face mask fused with turmeric as a diy and natural method for glowing skin. You can make this mixture by combining a teaspoon of turmeric powder with plain yogurt and raw honey. Apply the mixture all over your face for 10-15 minutes and rinse off. This is also a great beauty secret for removing pesky facial hair as well. Aloe may be famous for soothing skin burns but Filipino women use this ingredient as their secret weapon for shiny hair. Use the juice of an aloe leaf or store brought aloe gel (we get ours from Trader Joe's) and massage it onto your scalp and hair for a few minutes before rinsing out. You can also add it to your favorite conditioner after shampooing. Beat a papaya until smooth and brush all over your skin and leave on for 15-20 minutes, then rinse with warm water. You can also mix a papaya with brown sugar for a great face and body scrub. Behold, a beauty weapons that's probably in your kitchen as your reading this: Ginger and honey! The women of Israel like to combine fresh ginger, honey (preferably raw) and pure water for a simple and effective solution to reducing the appearance of wrinkles. Due to the yummy smell of this concoction, this is a perfect mask to include in your morning skin care regimen. If there's one beauty tip we've heard since our teenage years, it's soaking in a milk and honey bath. The compounds found in milk rids your body of rough and dry skin and rejuvenates skin to a soft and more desirable feel. Turkish women utilize the nature around them by brightening their hair color with daisy water. The mixture simply consist of adding fresh daises to a cup of boiling water. Once the water has reached a lukewarm temperature, remove the flowers, pour the water onto your hair and let it air dry. When it comes to our eyes, nothing can make them pop more than beautiful curled lashes. Try this popular trick used by the women of Mexico and curl your eyelashes with a metal spoon. With your eye closed, cup the spoon over your eye and press the bottom of the spoon against the base of your lash line. Then, with your thumb, press and hold the lash against the spoon for a few seconds. Repeat these same steps on your other eye, add one to two coats of mascara and there you have it: beautiful long eyelashes. Some stretch marks naturally fade to fa marks, while they're still in that reddish stage. Gels made with a mix of onion extract and hyaluronic acid may help. Another option is a retinoid, which your dermatologist can prescribe. This speeds up cell turnover and can stimulate new collagen growth, leading to plumper, healthier skin. Having skin that's free of pimples, redness, and dark spots can improve your confidence and quality of life. While getting skin that feels flawless is an ongoing process that takes time. Washing your face once in the morning and once at night with a non-comedogenic gentle cleanser. Use an exfoliating cream like skin brightening cream. It brightens the skin and whitens it up to get the celebrity look. She plays the no nonsense bookkeeper who can't stand improper conduct, Helen Hunt Skin Cream over the top liberality or silly exercises.